Hospital negligence is a perennial stress factor in the healthcare industry, for professionals and patients alike and a key question being asked by many is whether technological advancements are helping or hindering the process? Healthcare professionals know that many things can go wrong with medical treatment, and that the responsibility lies with them to make sure that things go right. It is very clear that the intentions of those who work in healthcare is to help rather than harm a patient. On top of the guilt and anguish of being responsible for harming a patient in their care, a negligent healthcare professional risks losing the very career they’ve worked so hard to secure. Patients put themselves entirely in the hands of the medical and healthcare professionals who treat them, sometimes even entrusting their lives to their healthcare provider. Even when there are few options available, it’s a leap to place that much trust in a stranger. Under those circumstances it’s impossible to banish the nagging fear that your doctor is under too much stress, or that your hospital hasn’t tested its equipment properly, or that any one of a hundred things might go wrong. 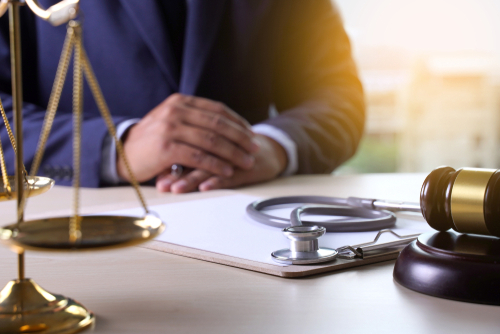 The concept of “negligence” and the legal remedies it provides go some way to reassuring a nervous patient—but they can also be disconcerting. More comforting than the option of making a claim for a death from hospital negligence would be the knowledge that there was no such thing as medical negligence in the first place. Many industries are finding ways to make use of algorithms which can predict outcomes or solve problems, and which improve themselves by testing their own results. Once a human has “trained” an algorithm to recognize something—for instance a spam email—the computer can very rapidly get better at recognizing it by sorting through enormous data-sets. In some areas, computers are already better at predicting outcomes or recognizing situations than humans are. This technology has important implications for medicine, and particularly for diagnosis. The diagnostic situation is obviously amenable to machine learning: the skilled diagnostician draws on all the data he or she has absorbed in training and over a long career to recognize the cause of a set of symptoms, and to predict the outcomes of various treatment options. Theoretically, an algorithm could become more effective than even the most skillful human diagnostician, especially as more medical data is made available on online databases. 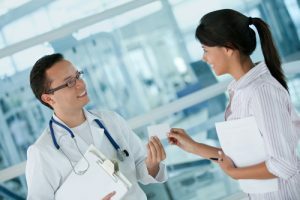 A computer drawing on the accumulated worldwide knowledge of the medical profession would have a far better chance of reaching an accurate diagnosis than a physician drawing only on his or her experience. It’s even probable that diagnostic computers will eventually be able to spot symptoms we don’t currently recognize, and work out aspects of human physiology we don’t yet understand. This future is already coming into view. A company called HealthTap recently launched an app—called Dr A.I.—which can diagnose you through your phone. And for years now, most of us have been googling our symptoms before we bother to consult a doctor. The consequences for negligence are far-reaching and profound. Obviously, it’s to be hoped that this technology could potentially decrease instances of misdiagnosis, which is one of the more common forms of negligence. As computers take over more of the decision-making in medicine, the instances of human error will be reduced. For instance, some instances of negligence currently arise due to specialization. Because human memory places limits on how much a human physician can know, a senior hematologist might know very little about orthopedics. The result is that sometimes specialists fail to recognize problems in their patients which fall outside their specialization, or patients find themselves bounced from specialist to specialist before a conclusive diagnosis is reached. Computers are not bound by the limitations which bind human physicians: theoretically any computer could have access to all the latest medical knowledge in every specialization. Legally, the replacement of human diagnosticians by machines would disrupt the basis of negligence claims. 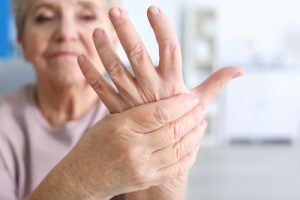 As it stands, the concept of negligence assumes that a (human) physician is responsible for reaching a particular diagnosis or recommending a treatment. When doctors are relying on machines to perform all or part of their diagnostic work, it may no longer be possible to hold doctors accountable for the decisions they reach—especially if the technology advances to the point where the computer’s medical “knowledge” outstrips the doctor’s own. It would obviously be absurd to blame a doctor for following the machine’s recommendation when the machine is statistically more accurate than the doctor is—even when the machine turns out to be wrong. 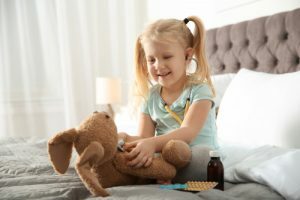 While the future of medical negligence is rapidly approaching, machine learning and other applications of technology to medicine are still in their infancy. In order for the technology to be perfected, it has to be tested and used, and that carries significant risks. Until the use of any particular technology becomes standard, it will remain firmly the responsibility of the physician to choose to rely on it. 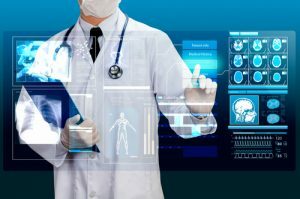 In the short to medium term, it’s likely that technology will increase negligence in some areas, and that human physicians will continue to be liable. 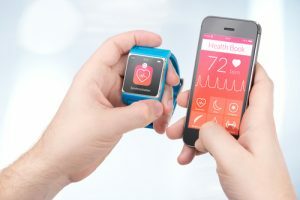 As with any technological advance, there needs to be an acceptance that there is likely to be a time lag between the development of the technology and the changes in medical education and negligence law that will help both healthcare professionals and patients to navigate in a brave new world.